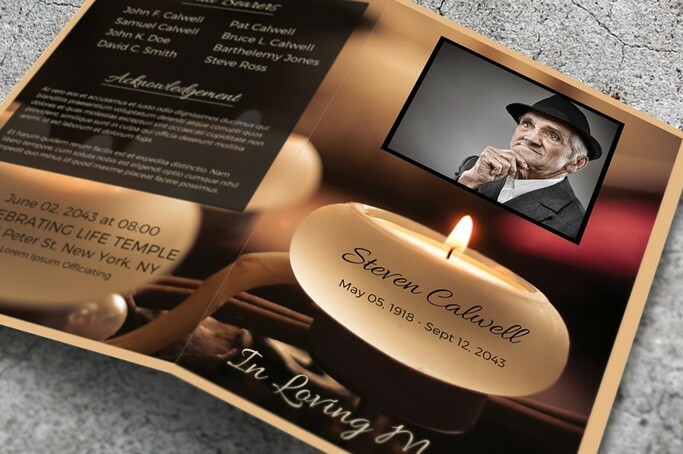 A memorial service reflects the uniqueness of the life it honors and this solemn event definitely needs a beautifully crafted remembrance card to give to the attendees. 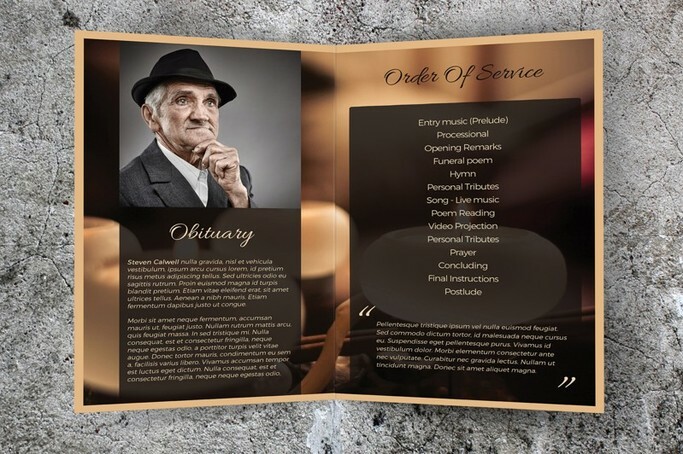 Creating such a document however can be a painful and uneasy thing to do since you are in the grieving process. 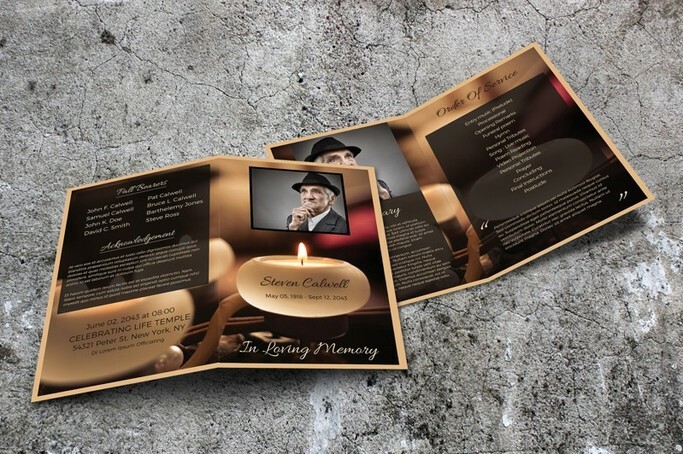 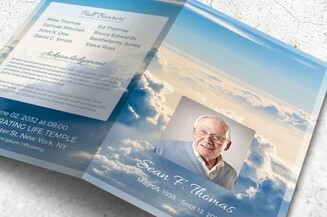 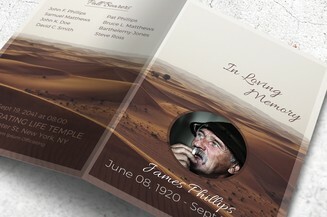 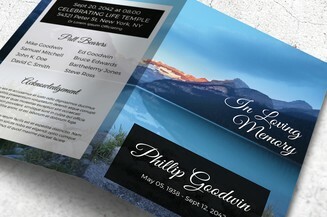 To lessen the pain and sorrow, you may download this high quality and print-ready memorial program template which features a lovely candle on the backdrop.